If you shudder when your neighbors get a glimpse inside your garage, now is the time to declutter, especially before summer is in full swing. 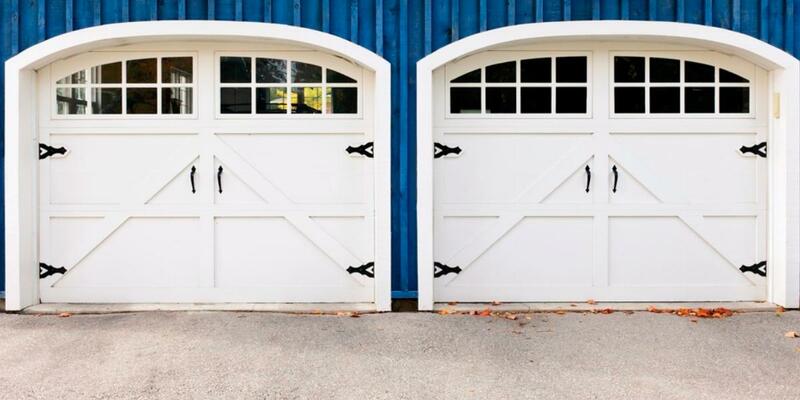 Garages are often a catch-all area for everything from old sporting equipment to those broken Christmas decorations you’ve been meaning to throw away. So take advantage of a sunny weekend, open up the garage doors and don’t close them until everything is organized and your car fits comfortably in its spot. While sometimes a daunting task, it’s best to completely empty your garage so you can start with a clean slate. As you clear the space, make designated piles and group items that are likely to be used together. Pro Tip: As you gather up and sort through items, pay attention to any cleaning supplies, weed killer and insecticide that you find. Check for any that are past their prime and ensure none of the bottles have leaks. Never pour any yard or garden chemicals down the drain, even if they are diluted with water. Each chemical has a label with disposal requirements, but if the label is missing or torn, it’s best to be safe and dispose of them at a local facility that accepts household chemical waste. Check for duplicate items in your piles that you didn’t realize you had. For example, if you find your garden pile has three watering cans and two hoses, set the extras aside in a separate donation pile – as long as they are in good working condition. Once you categorize all your belongings and weed out duplicate items, it’s time to make a plan to keep everything accessible and neat. But don’t worry about organizing by yourself, involve the entire family so you all commit to the plan. Adequate storage space is essential for any garage organization system to succeed long term. We have a few ideas on how to organize your garage, but check out our collection of organization pins on Pinterest for extra inspiration as you consider your unique space. Unless you’re Ironman, your garage might fit two cars (if that), so make the most of the walls for yard and gardening tools. Hang hooks or get creative and upcycle a wood pallet to keep shovels, rakes and other yard equipment out of the way. Look for options that lay flat against the walls of your garage so they take up minimal space and provides a usable area. If you’re an avid DIY-er with a sizeable number of tools, but no room for a tool chest, peg boards can be a perfect middle ground. You can either go for a large board to accommodate many tools at once or purchase several smaller ones and hang them like pages in a book (check out the picture on the left). Any holiday and seasonal decorations should stay in labeled plastic storage containers. Since these frills are not used regularly, they can be kept in hard-to-reach areas; save convenient spots for everyday items. There’s nothing worse than accidentally running over a baseball bat on your way to work and rushing out of your car to put it away. Build a DIY storage bin to hold toys, or buy hand baskets or nets to keep your kids’ gear in its designated area. When in doubt, try to keep everything in the garage off of the floor. 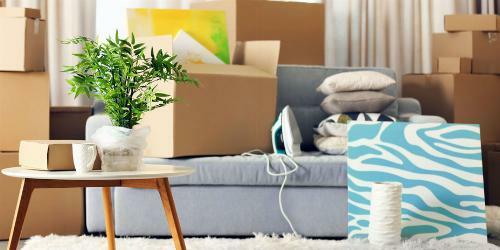 Storing items on the floor not only makes it easier to accumulate mess, but also provides areas that can trap water, dirt, dust and even pests. After you’ve emptied, sorted and organized, you may still have a pile of stuff from the garage that you no longer use or need. While some of this can be thrown away, certain things may have plenty of good mileage left. If you are looking to make a few extra dollars from your belongings, consider selling them through a yard sale or via an online option. List items for sale on Craigslist or use the letgo app, and wait for the offers to roll in. Always put items back in their correct spot, even if you are in a rush. If you replace something, make sure you throw away the original. Only add new storage as necessary. This is the third post in our series of How to Organize Your Home Room by Room. Please also check out Part 1, which covers kitchen organization, and Part 2, which takes on bathroom clutter. Come back next month to read up on some easy closet organization tips. We’ve pulled together easy organization tips that won’t require you to spend the whole weekend in pantry purgatory. 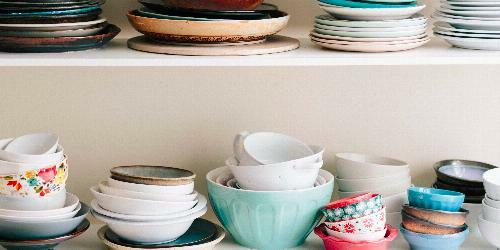 Follow these professional kitchen organization ideas to tackle every area in the room.